I am very proud to be Headteacher of such a warm and vibrant school community. Brambleside Primary School is situated in a residential area of Kettering, Northamptonshire. We currently have approximately 400 children on roll. We have recently (April 2015) converted to Academy Status, led by the Brambleside Academy Trust. We have amazing learning spaces. 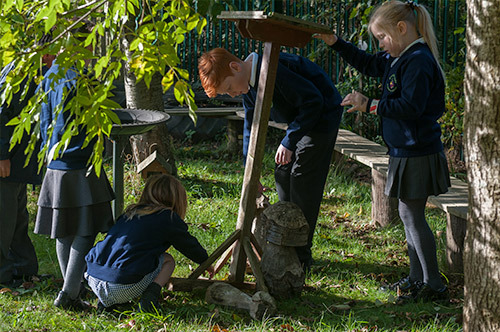 Our outdoor environment is well established and provides many learning opportunities. We are proud of our school! We aim to develop successful partnerships so that we can learn and grow together. 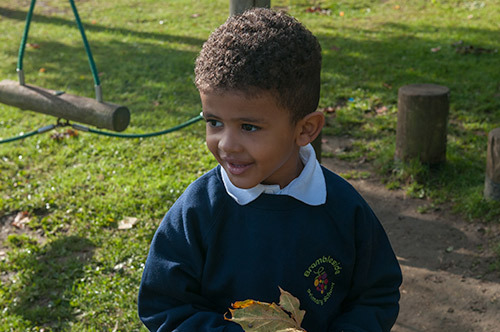 To do this we provide a challenging curriculum which encourages high levels of achievement which prepares our children well for their future lives. We encourage children to be aspirational, determined and resilient by being able to push themselves by working outside their ‘comfort zone’ to grow. We encourage respect and a sense of pride in our identity at Brambleside and develop collaboration with all of our community to develop a strong sense of togetherness. Our governors and staff work hard at our school to ensure that children are challenged and supported to achieve highly and we are fortunate to benefit from a very supportive parent community. Above all else we want our children to feel safe, work hard and be happy! Our News and Diary page is your way to keep up to date with what's happening at Brambleside, with key events and celebration of all that is good about our school. We have a page that is dedicated to giving you easy access to all school data, policies and reports as well as useful weblinks to important sites to help you. Why not visit our Vacancies page to see if we have any opportunities that fit your aspirations? Brambleside Primary Our year 3/4 hockey team did us proud today finishing 3rd. Brambleside Primary Thanks for the great support today for our Easter activities and for the choir and musicians! Have a fab holiday. Please always park courteously and use nearby on-street parking if there are no available spaces in the school car park.